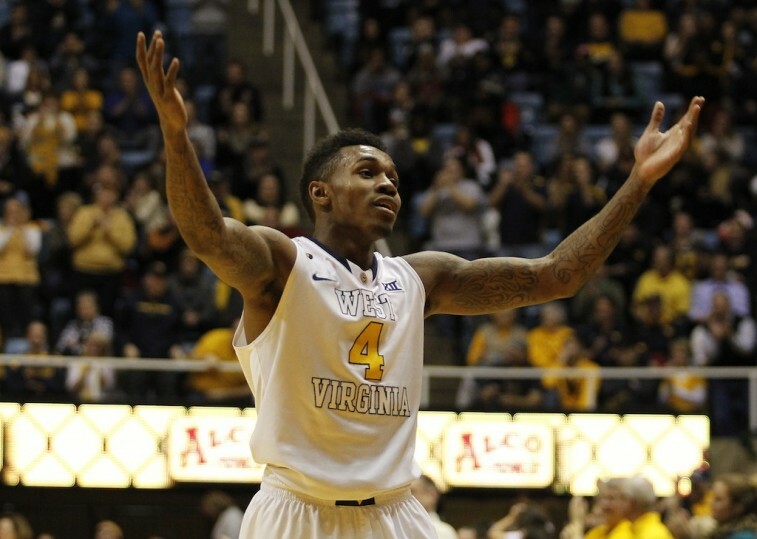 With the 2015 NCAA Tournament about to get really interesting, you have to give credit to West Virginia‘s Daxter Miles Jr. Even when he may just be adding more fuel to the fire, the freshman guard has no problem speaking his mind. While we’re not sure how effective this approach will be, you can’t fault the freshman for trying to make sure that his team enters Thursday’s contest in the right frame of mind. After all, they are about to take on the best college basketball team in the country. If you can’t find a way to get up for this game, then you’re already dead in the water. Besides, it’s not as if players haven’t made these sorts of declarations in the past. Some stars have even managed to make history by backing up their words. Here’s a look at three of those examples. The story goes that in the fifth inning of Game 3 of the 1932 World Series between the New York Yankees and Chicago Cubs, slugger Babe Ruth was up to bat with the scored tied at four. The Chicago fans at Wrigley field were in full force and tensions were high. With the count now 2-2, the Babe readied himself to step into the batter’s box. But before doing so, he appeared to point toward center field. Then the next pitch arrived and Ruth crushed it over the wall near the flagpole in center. That was the moment that Ruth called his shot. Did it actually happen that way? Were those the Babe’s true intentions? It doesn’t matter. We’re not meant to question the legendary moments. In the 1994 Eastern Conference Semifinals, the New York Rangers found themselves on the brink of elimination against the New Jersey Devils. But Rangers captain Mark Messier wasn’t about to let a little adversity keep him down. That much was clear when he told the media,”We’re going to go in and win Game 6.” If you’re going to predict something like that, then you better be able to step up and deliver. And boy did he ever. Messier lit up the Devils with a hat trick, and New York took the game 4-2. With the momentum now on their side, the Rangers would not only win Game 7, but they would go on to capture their first Stanley Cup in 54 years. Joe Namath caused quite a stir when he guaranteed that the underdog New York Jets would defeat the Baltimore Colts in Super Bowl III. No one believed this was remotely possible. But Broadway Joe proved everyone wrong by leading the Jets to a 16-7 victory. That was the first time an AFL team would win the Super Bowl and, to no one’s surprise, Namath was named the game’s Most Valuable Player. It was in that moment that Namath went from a star quarterback to a bona fide rockstar.